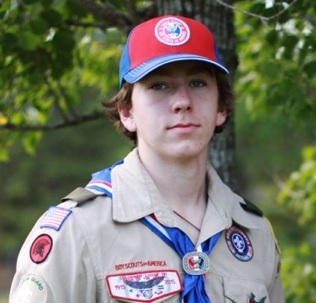 Michael Ethridge (Green 2015), now at St. Thomas High School, earned the rank of Eagle Scout, the highest achievement in the Boy Scouts. Michael is a founding member of Troop 1004 of St. Clare Assisi Church. Michael received the Bronze, Gold and Silver Eagle Palms, each representing the completion of five merit badges beyond the 21 required for the Eagle Scout rank, for a total of 36. In the summer of 2017, Michael hiked over 100 miles on a trek through Philmont Scout Ranch in New Mexico, climbing several prominent peaks.